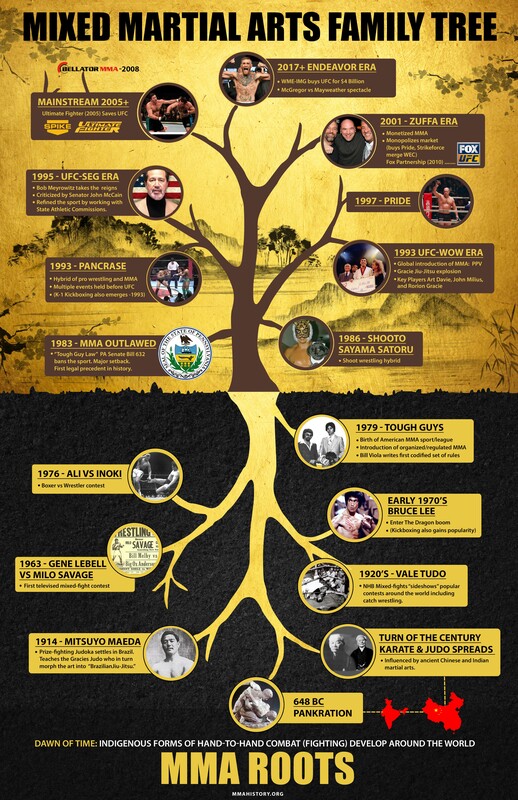 This infographic timeline and family tree outlines the evolution of MMA from theory, to combat, to modern sport. While the question of who invented MMA will never be answered, we can clearly define who created the first organized and regulated “American Sport.” CV [Caliguri and Viola] Productions created the blueprint for a multi-billion dollar business in 1979 by launching the first mixed martial arts league in United States history only to ignite a bitter turf war with a jealous boxing community over money, power and respect. Mixed Martial Madness reveals a clandestine plot that subverted a martial arts revolution that was poised to challenge boxing for preeminence as the king of combat sports. Today, CV Production’s “anything goes” creation has evolved into one of the fastest growing sports in the world, albeit under the auspices of the Ultimate Fighting Championships. Nearly thirty years before the UFC garnered real mainstream acceptance, CV set up shop as the first mixed martial arts company in American history. Although enshrined at Heinz History Center in association with the Smithsonian Institution, you’ve likely never heard of them—until now. MMA is the sport of the 21st century: WOW Promotions popularized it, SEG Entertainment refined it, Zuffa LLC monetized it, but CV Productions created it. This is your exclusive ticket to travel back in time and relive the epic journey of the Tough Guys. 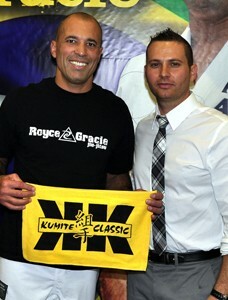 Long before the Octagon was in vogue or Royce Gracie made his pay-per-view debut; decades before the UFC became a household brand and while the likes of Dana White were still in elementary school; two martial arts entrepreneurs pursued a dream that would change the sporting world forever. Bill Viola and Frank Caliguri, promoters from Pittsburgh, set out to prove once and for all who the “Toughest Man on the planet” was by inventing a radical new “sport.” Groundbreaking—sophisticated—progressive; their competition transformed the barbaric spectacles of an earlier era into a modern franchise more akin to the NFL than the Roman Coliseum. In 1983, with the stench of corruption still in the air, the Pennsylvania legislature banned the new sport en route to setting the first legal precedent for MMA—ever. Outlawed and blacklisted by the “Good ol’ boys,” Mixed Martial Arts would sit idle until an upstart UFC finally emerged in 1993. Unfortunately, their “No Holds Barred” format was light-years behind CV Productions in terms of rules, regulations and safety precautions. It would take nearly thirty years of “catching up” for MMA to come full circle and gain mainstream acceptance. Godfathers of MMA is the untold story of the men who changed the game and a sport that was born ahead of its time. 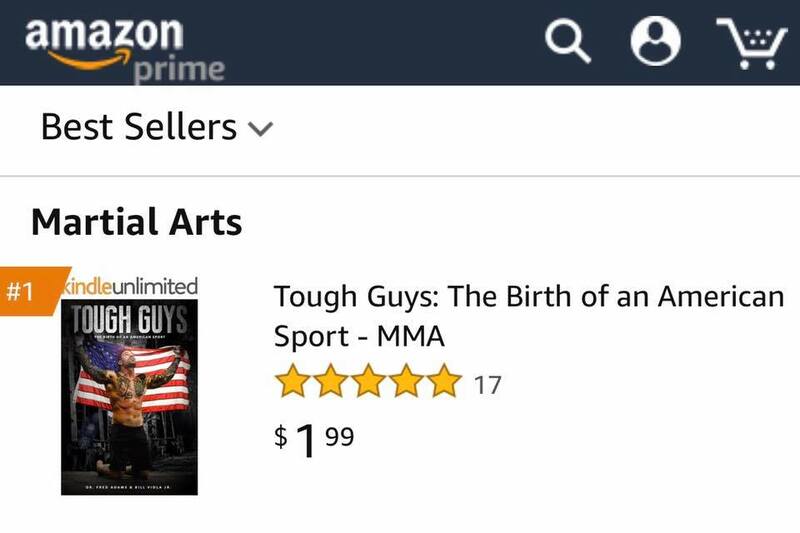 Pick up the most comprehensive MMA history book available today.